I bought this book sight unseen, based on the title and the name of the illustrator, but look how beautiful the cover is. When I saw it, I thought it was a keeper, and it is. To start with, it is a wonderful addition to a very sparse selection of really lovely Australian Christmas Picture Books. There are some really fun books, of course, but few that really deserve the title of Living Book. 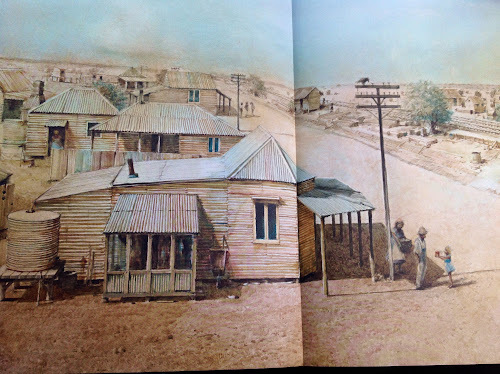 This one looks beautiful, is truly Australian, and is historically educational to boot. It's the story of a young girl called Kathleen who lives in a settlement along the line of the Tea and Sugar Train, the train that travelled from Port Augusta to Kalgoorlie across the Nullarbor Plain. The train only travelled the line once a week, and it passed Kathleen's township on a Thursday. Settlements along the track had no stores or services, so the train was truly a lifeline, bringing groceries, fresh meat, books, and mail from the outside world. Once a year though, the Tea and Sugar Train, always a special occasion, become something magical. Once a year it became the Christmas train, and along with the tea and sugar, Father Christmas travelled the line. This week, Kathleen and her mum and dad had run out of tea and sugar, but it wasn't the groceries that they looked forward to, of course. It was that jolly man with a blinding white beard and clothes of Christmas red. Just like in the pictures. What do you think happened next? Do you think Kathleen saw him? The pictures in the book are truly magnificent, fold out, double page coloured paintings interspersed with delightful pencil sketches. 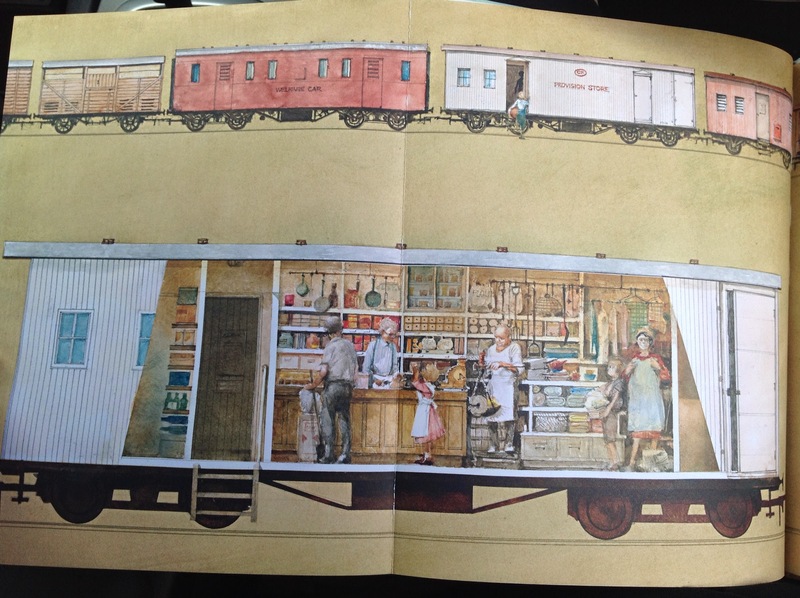 I adore the authentic cutaway of the railway carriages, but each page is exquisite. 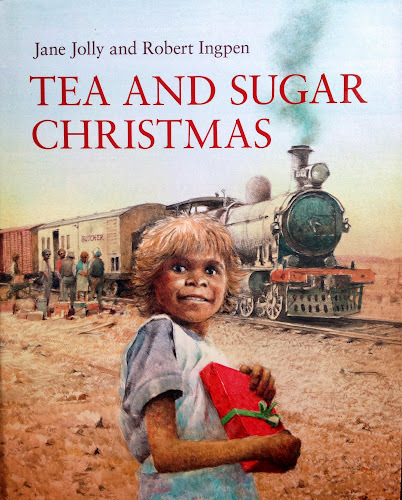 Jane Jolly, a new name to me, has written a sweet, historically correct, story, which really makes you wish that the Tea and Sugar still travelled the line and that you could go and visit it. It did me, anyhow. 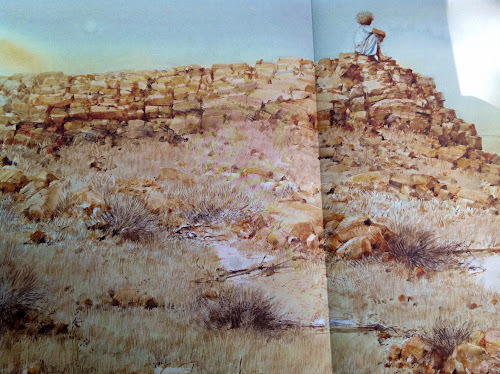 It is best for the 5-8 yo crowd as a story, but those illustrations transcend the ages. Every Aussie needs a copy of this book. Even those of you who prefer not to let the jolly fat man enter your home and unlikely to have issues with this one, I suspect. Call it history or geography or something. Or art. Its all of these as well as a Christmas book. It is really special. Tea and Sugar Christmas has just been released. 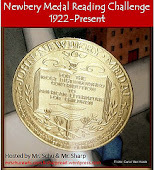 You can find it in any bookstore, I suspect, or order it online from Readings here. 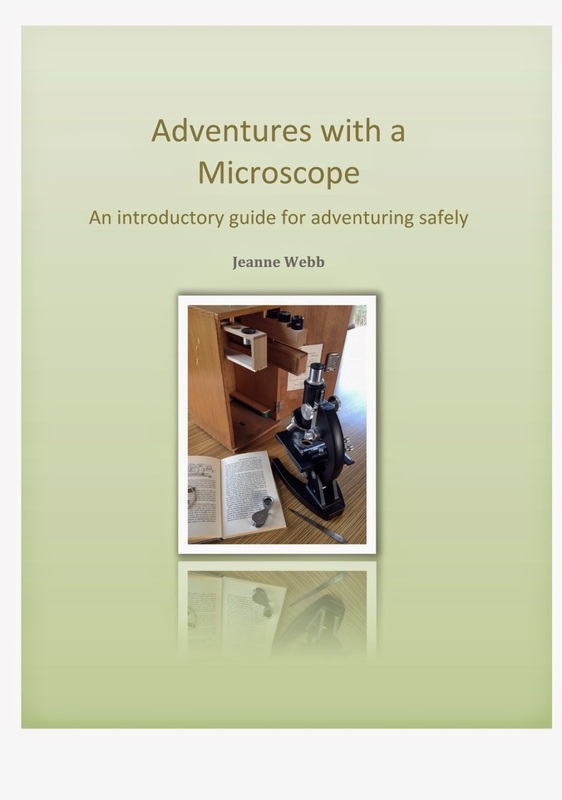 Even though I am not Australian, it seems a wonderful book to add to my collection. I will keep my eye out for it. Ooh! Thanks for the leads up! I have 'enough'We're going up the shore the next day, and I am looking for some new Xmas flows, plus some guides for our stockings.